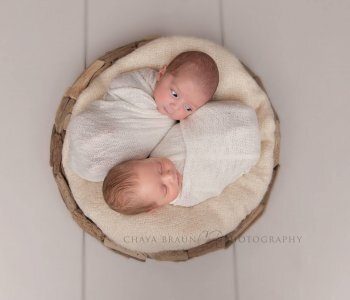 Chaya Braun Photography established itself as the premier Baltimore newborn photography studio in 2014. 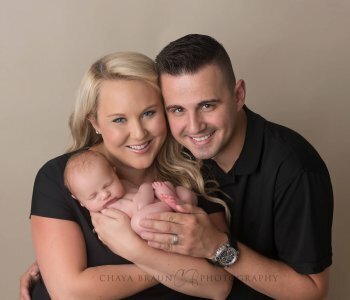 Since then, its success has grown and hundreds of satisfied clients continue to return to capture their baby’s precious milestones. 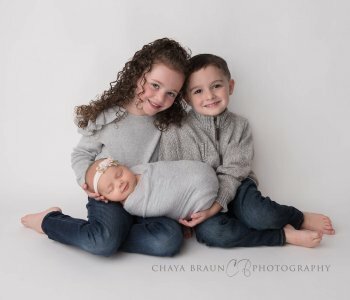 What sets Chaya Braun Photography apart from other photographers is the level of customization and personalization that is infused in each session. It all begins when an expectant Mom (once in a while, it’s actually Dad!) 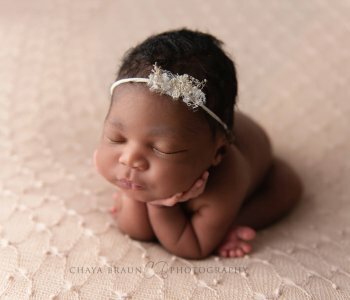 reaches out to find out about a newborn photographer in Baltimore. 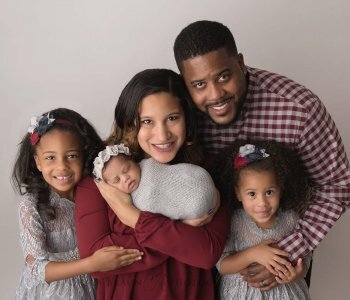 Chaya’s friendliness and caring are evident throughout the whole process as she warmly guides the new parent through the process of selecting colors and styles that will complement their home and speak to their soul. The final products will be a reflection of the client’s vision and live as beautiful artwork on their walls. If a client is unsure of their preferred style, Chaya has several simple, multiple-choice questions used by interior designers, that will evoke responses that serve as a guide for the photo session. Once the clients arrive with their bundle of joy at the studio, their job is to sit back and relax on the comfortable couch while Chaya works her magic. 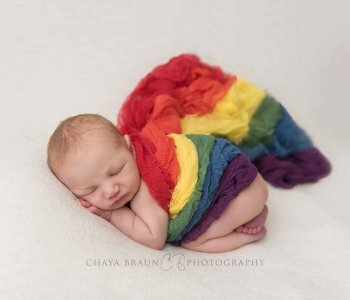 There is no need to bring any clothing or props for the baby, as the studio is equipped with thousands of wraps, swaddle blankets, tiny outfits, hats, headbands, baskets, and more. 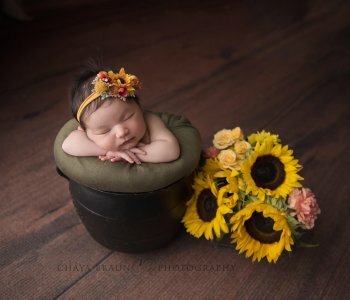 Some parents enjoy watching the photographer creating art with their baby, while other parents choose to catch up on their emails, or even take a much-needed nap! 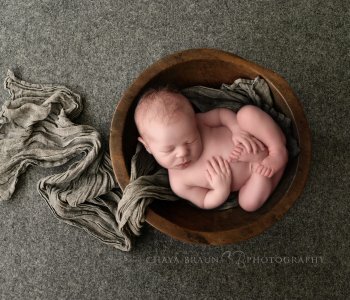 The optimal time to book your Baltimore newborn photographer is during your second trimester. 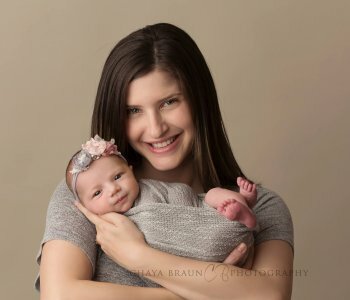 The studio books a limited amount of newborn due dates per calendar month, so you want to be sure that you have your slot reserved in advance. Last-minute bookings are taken on a case-by-case basis, and unfortunately, sometimes need to be turned away. 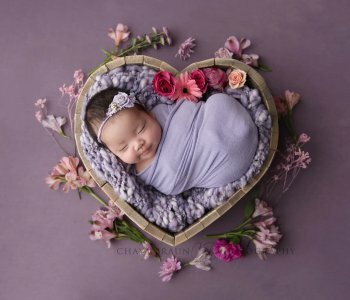 Once the baby arrives, the client simply calls or emails, and then the exact session date is determined for when the newborn is 5-14 days old. 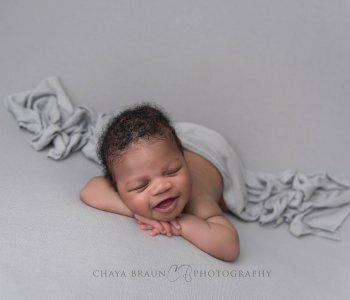 We are very proud to have recently photographed the newborn baby of a Baltimore Ravens player, and invite you to explore the blog to see the exceptional variety of beautiful portraits that are created at the studio. 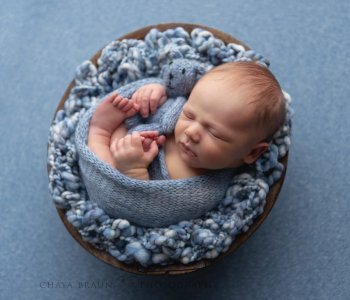 If you’re ready to book a Baltimore newborn photographer, contact us to see if the studio would be a good match for your needs. Congratulations, and feel take good care of yourself!